Thank you to everyone who came out today to celebrate DC talent at the DC State Fair in the heart of the Barracks Row Fall Festival. And congratulations to the winners of all 19 contests! A special thank you goes out to our contest coordinators, judges, and volunteers. You made it all possible! 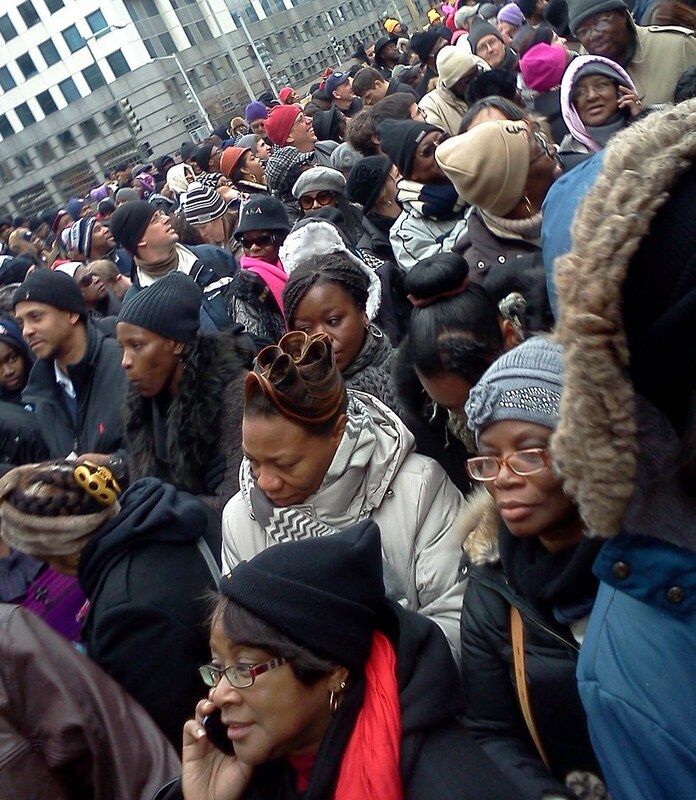 A crowd of Inauguration-goers waits to get into the L’Enfant Plaza Metro station. Photo by Rhea. President Obama’s second public inauguration this week sparkled with great musical talent and a glinting promise in the president’s address to the nation. I failed to see any of it live, instead traipsing around the perimeters of a sealed off National Mall with a couple of friends. Eventually, we gave up and headed home. In the spirit of taking a break from my eat-in posts, I’m going to tell you a story of what I did see that day (and show you in a video if you keep reading). As I joined the crowd outside one of the jammed Metro stations following my surrender, I encountered two ad hoc entrepreneurs. 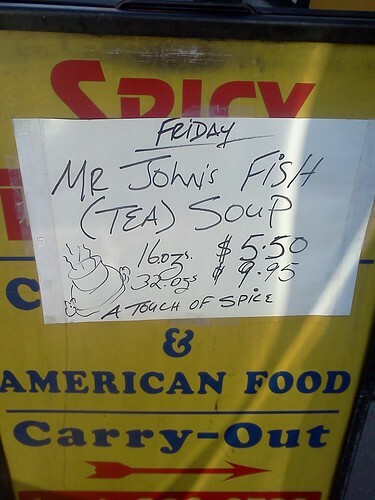 It’s Friday, and 16 ounces of Mr. John’s Fish (Tea) Soup costs just $5.50. Shabbat shalom, with a touch of spice. Photo taken by Rhea outside of the Spicy Delight restaurant in Takoma, D.C.
My overview of the What’s Cooking, Uncle Sam? 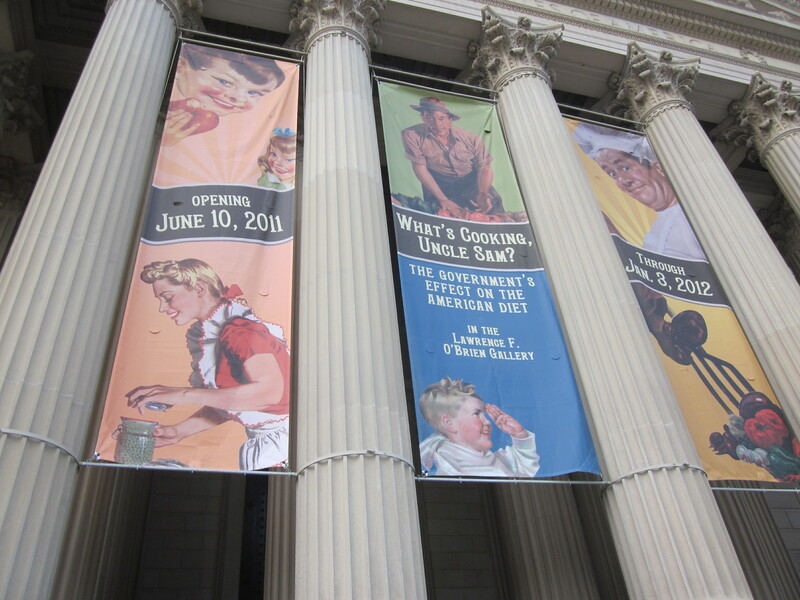 exhibit appeared earlier this week on the Washington City Paper‘s Young & Hungry blog. Read the post here.